Myra A. Crawford, PhD, MFA, MPH, founded the Cahaba Riverkeeper and has served as Executive Director and Riverkeeper since 2009. She has applied her scientific training to serve the Cahaba and the issues that beset its health. Dr. Crawford retired as Clinical Research Professor and Director of the Research Division and the Human Energetics Assessment Laboratory in the Department of Family and Community Medicine, School of Medicine, University of Alabama at Birmingham. 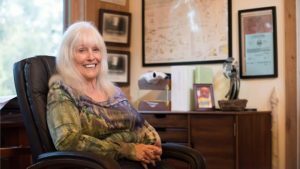 For twenty years, she conducted behavioral research in substance abuse and other health risky behaviors. She also spearheaded creation of the Alabama Practice Based Research Network (APBRN), a consortium of primary care physicians conducting clinic-based research in many Alabama counties who collect and study research data on tobacco cessation and obesity reduction protocols. Dr. Crawford, who has a profound connection with the land in its natural state, has lived on ten acres near the Cahaba River in a passive solar home for more than forty years. She is a mother of two daughters and a son. Her son is an environmental scientist who devotes significant hours to monitoring the waters of the Cahaba River. She was a member of the advisory council of the Black Warrior Riverkeeper and a founding member of the board of the Green Resource Center for Alabama. Dr. Crawford holds degrees from Samford University (BA, English), the University of Alabama (MA, communications), the University of Iowa (MFA, Writers Workshop), and the University of Alabama at Birmingham (MPH, health behavior; and PhD, health services administration). She has worked as a newspaper and magazine journalist and as a technical writer and editor. She has published more than a hundred scientific and commercial articles, as well as works of fiction. She has traveled extensively in China, Tibet, Italy, Spain, the United Kingdom, Central Europe, and Central and South America. David Butler was named the Riverkeeper in 2015 and Staff Attorney in 2018, after serving as both a volunteer and Board member. David brings over 15 years of experience leading canoe and kayak trips along the Cahaba River, where he observed many of the problems threatening the river today. One of the most frequent questions he fields in his role as a guide is whether the river is safe to swim, and his work as Riverkeeper allows him to play a role in answering that question directly. David studied finance at the University of Kentucky, before moving on to work in the financial research industry in New York. After six years, David returned to the south and enrolled at the University of Alabama where he earned a Journalism degree. While studying in Tuscaloosa, David started working part-time at the former Alabama Small Boats shop and reignited his passion for rivers. In 2018, David earned his J.D. from the Birmingham School of Law and was admitted to the state bar later that year. As the staff Riverkeeper, David’s responsibilities include: overseeing the successful Swim Guide program, organizing river cleanups, responding to pollution complaints, managing our intensive data collection efforts, speaking to concerned citizen and civic groups, as well as a host of other duties. David lives in Vestavia just off Little Shades Creek with his wife (Susan), two children (Jacob, 15 and Allison, 4) and their rambunctious Dalmatian Lucy. Debra Sharpe is the owner of Sharpe Solutions, International (SSI), a small business specializing in developing sustainable solutions for Public, Private, Government, Academic, Research, and Medical communities. She has over 25 years of experience in the implementation of compliance management systems for laboratory safety, biosafety, biosecurity, and environmental safety and health. 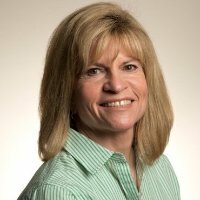 Debra has a Master’s Degree in Public Health from Tulane University and is a candidate in the Doctor of Public Health Program in Environmental Health at the University of Alabama, Birmingham. She has significant experience developing policies, procedures and training programs to ensure the facilities receive all necessary registrations and certifications. She has worked extensively in academic, private research and diagnostic public health laboratories. She is also a member of multiple professional organizations and has participated in the development of policies and regulations to protect the public and environment from dangerous pathogens originating from high-containment laboratories, while supporting the important mission of diagnostic and research laboratories. Lee Jeffrey is our newest board member at Cahaba Riverkeeper. Lee is the owner/host of his radio show “Sweet Science Radio” on Birmingham Mountain Radio (107.3 FM) for 5 years running. 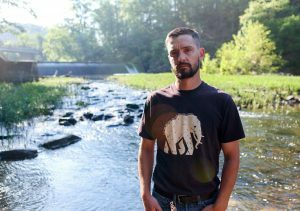 Lee has been an event planner/entertainer/ cultural liaison for the last 18 years and curates event fundraisers by working with artists from all mediums on several different platforms in hopes to raise awareness about our Cahaba Riverkeeper’s mission. Lee is a husband and proud father of two which lead him to join us in the fight for clean water as a labor of love for the people in his community. 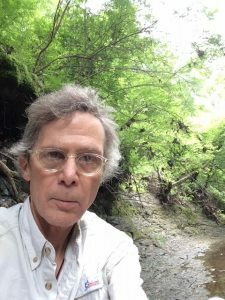 Robert A. Webb is the Treasurer for Cahaba RiverKeeper, Inc. He attended University of Pennsylvania for his undergraduate and graduate education, and attended the Wharton Business School at the University of Pennsylvania. He also attended the Birmingham School of Law. Robert has his own CPA and Law Practice on Highland Avenue in Birmingham, AL. Born in Dallas, TX, Scott has spent his entire career in the world of talent acquisition and is currently working for Regions Bank here in Birmingham. His career has taken him from his hometown of Dallas to Washington DC and he credits his time working in New York City for his laser focus on storytelling and differentiation. He holds a BBA in Marketing from James Madison University and has leveraged his education to fuel his passion for social media and community activation. While in Dallas, Scott was an active volunteer at the Dallas Regional Chamber and served on the board of their Young Professionals Program where he helped develop the group’s first social media strategy. He also served as the Chair of the Top Investors Steward Committee and was admitted to the Leadership Dallas class of 2014, which he regretfully declined so he and his family could relocate to Birmingham to be near their family. 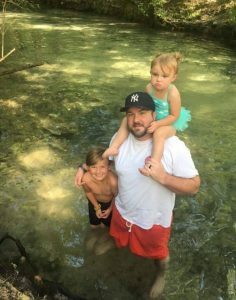 Scott and his family have spent their entire lives in the outdoors enjoying activities ranging from mountain biking to canoeing, snowboarding to rock climbing. Some of his favorite places include Quetico National Park, Seneca Rocks, Oak Mountain and of course the Cahaba River. Scott and his wife Sara have a son Dade, a daughter Nell and two dogs, Sully and Rosie and live in Hoover near Moss Rock Preserve. On rainy days you can find him in his garage, likely brewing a new IPA using a recipe he and Sara developed together.